Perplexed about your company’s evolving structure? Or the relationships between roles? Maybe your organization has been growing, and you’re struggling to remember how communication should flow – or who is doing what. Or maybe explaining the hierarchy to new hires has become a nightmare, and you find yourself wondering if they’ve absorbed anything you just said. Join the growing chorus of HR staff and company managers who have been screaming for a tool that helps them visualize their structure and understand workflow processes. Enter our organizational charts and team directory! two long-awaited features that are a real game-changer when it comes to keeping everyone on the same page! Our interactive charts are a clear, easy-to-navigate map of roles and relationships throughout your organization. Our team directory gives you a user-friendly database of contacts that also keeps staff in the know about key dates and milestones. We asked clients struggling with all of the above challenges what they needed, then built these tools to make their lives easier. You’re going to find them indispensable – we promise. Help team leaders plan and manage complex, cross-functional projects. Stay on the same page even when everyone doesn’t work in the same geographic location. Ensure leaders and employees understand workflow processes. Share vital updates that you can’t afford to forget. Allow you to easily visualize (and deliver clear presentations on) your organizational structure. When it comes to keeping staff informed and effective, these tools deliver. We’re offering them now to all of our Premium HR clients. Read on to learn more about the key benefits they’ll bring to your company. Staying connected – and productive – has never been so easy! The typical org chart has lots of bugs and glitches, causing malfunctions that waste your valuable time. Customizing and updating the chart can be a frustrating process that takes far too much effort on your part. Most organizational charts out there become unwieldy after the business grows beyond a certain point – they aren’t made for complex structures. Sending an image from the chart to staff can be a hassle, requiring you to send it to everyone individually. Our current and prospective clients have been begging for org charts that meet their needs instead of wasting their time – and our intuitive charts and directory do just that. The typical org chart has an overly simple, top-down structure that just doesn’t reflect the reality of many businesses. Plus, the typical vertical, one-size-fits-all org chart doesn’t provide the level of detail most companies need. If it doesn’t accurately reflect your structure, it’s not a real organizational chart. We pride ourselves on giving our clients real charts that truly reflect their structure and provide the level of detail they need and demand. Stop fighting with unwieldy software, and choose the option that will grow with you. Our charts work for any kind of structure – top-down, horizontal, you name it. If you want to show a matrix of interconnected relationships, or simply want a chart that will expand along with you, our org charts provide the perfect solution – without requiring you to be a master coder and graphic designer. And if you change your structure, our user-friendly software easily adapts the charts. Whether you have 5 staff or over 100, we have the software to fit your needs. Clients have also spoken up about how cumbersome updating other org charts can be. That’s why we’ve designed our org charts to let you easily import and sync your data. Getting started with our charts is a breeze. If you’re already on a Premium HR plan with GoCo, the chart is created automatically – you don’t need to do a thing. If you’re a new client, you can upload an Excel spreadsheet to our system with employee information, and our system will create your org chart and directory automatically. With these self-updating charts, you’ll never again have outdated charts circulating through your company! Finally, an organizational chart that’s easy to navigate! It’s hard or impossible to zoom in to the level of detail you need. Resolution is extremely poor – when you zoom in, it becomes illegible. Your screen freezes when you try to pan across the structure. When you download, all the information is crammed onto one sheet or slide, making it incomprehensible. The typical organizational chart becomes illegible when you zoom in – if you’re even able to zoom in at all – or your screen freezes when you try to pan (if it even offers that feature). Organization Chart Search – Type the name or department you’re trying to find, and the org chart will automatically navigate you to that person or department! Here’s how our newly released features go above and beyond to give you real solutions. With GoCo’s charts, you can smoothly zoom and pan throughout your company’s hierarchy to accurately see the relationships between departments and functions. Move horizontally between departments, zooming in to get the level of detail you need. Navigating is easy – either pan across the chart or type in the name or department you’re trying to find, and the chart will take you there! Plus, unlike other charts out there, ours don’t lose resolution when zooming in or out! They give you a crystal-clear visual of every level of company hierarchy, giving you an in-depth understanding of your structure. Want to export the chart to use in a presentation? Just hit “Download” to save a PNG image of the chart to your computer. Where other charts give you a blurry, illegible image, our software gives you a crisp, professional looking graphic. What will our charts’ easy navigation and clear visuals do for you? Allow project managers to understand workflow and communication processes – minimizing time spent on damage control due to misunderstandings. Help new employees get up to speed on structure and processes. Clarify the roles of remote and flex-time workers, and boost communication with them. Help managers to delegate responsibilities more effectively. Enhance corporate presentations with clear, easy-to-grasp visuals. Help with succession planning or restructuring. Assist with identifying stakeholders for projects. For all these reasons, our easy-to-navigate charts are a must-have feature for any cross-functional manager or high-level leader. They’ll help everyone from new interns to CEOs to fully understand how the company functions, bolstering collaboration, communication, and productivity – even when people are geographically separated. In the typical directory, all staff might need to share all their contact info with everyone if they want to appear in it. What if you want some personal information to remain private, while making other info easy to access? GoCo’s team directory – coupled with our organizational charts – makes finding contact info a breeze. Never search for a number or email again – they’re all at your fingertips! Meanwhile, any sensitive info will stay hidden from those who don’t have access to it. Staff can simply list their phone number and email in the directory, making connecting with one another a breeze. The directory also shows useful info like work location, department, and manager for each employee, so no more fumbling around looking for that email or cell number. 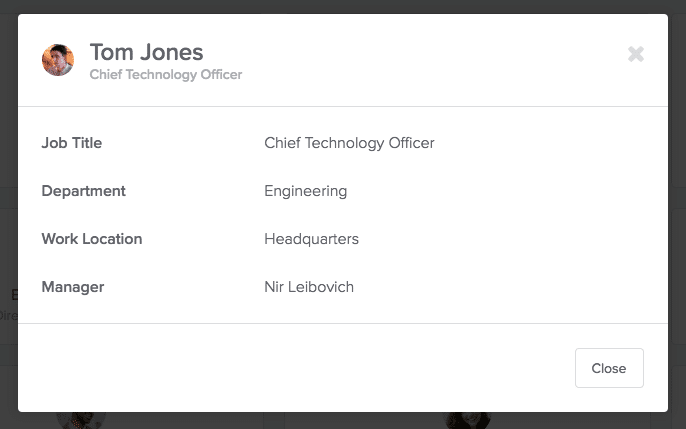 With our new team directory, employees don’t have to be embarrassed about forgetting names, either. They can simply use the directory to match a name to a photo and job role! No more bombarding them with information for eight hours and then hoping for the best. When you make sharing contact info easy, you also boost idea sharing tremendously. Using our team directory, employees can reach out to coworkers across departments and functions, even if they aren’t formally working together. 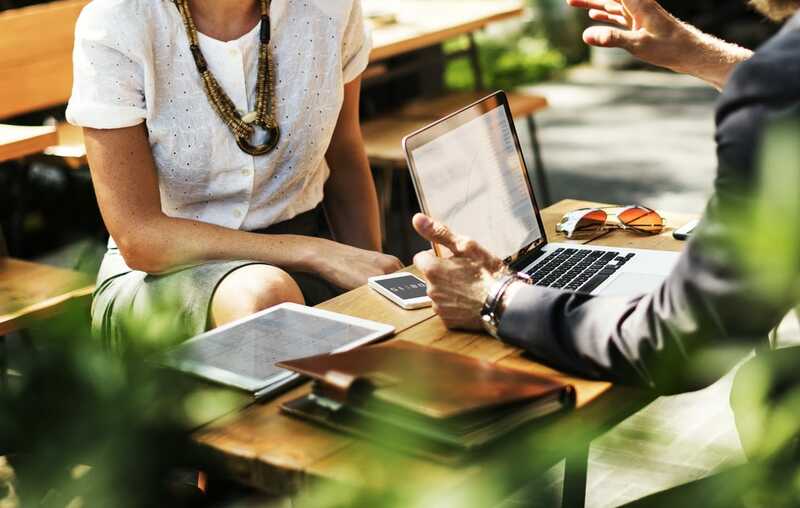 By encouraging these connections with our team directory, you’ll bolster creativity and innovation, allowing employees to take initiative in connecting with others. 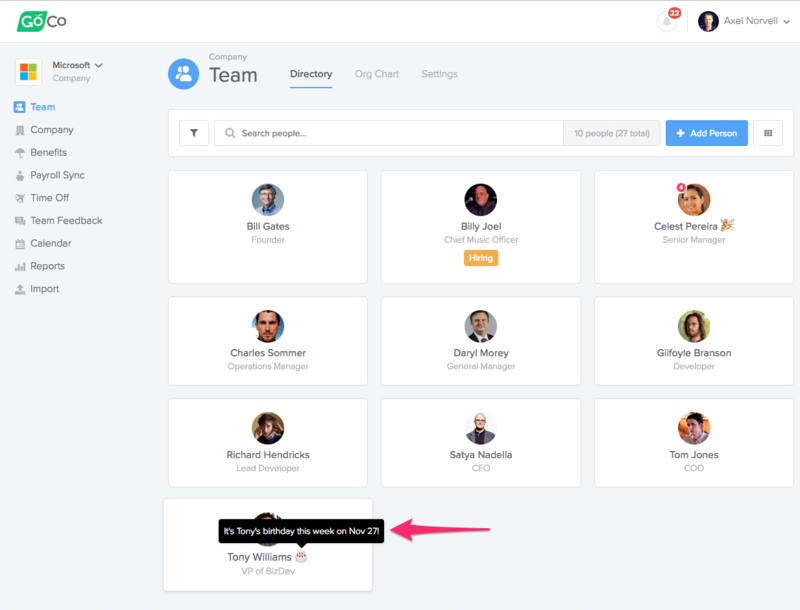 In this way, our team directory will help you build a culture of collaboration! Our team directory is a game-changer when it comes to remembering important dates. It’s your one-stop shop for all those vital reminders, ensuring you’ll never miss them! Birthdays: It’s Tony’s birthday this week on Nov 25! Work Anniversary: It’s Celest’s 3 year work anniversary this week on Nov 27! First Day:: It’s John’s first day this week on Nov 29! Time Off: Rebecca will be out of the office until Nov 28! Don’t be the manager who forgets key milestones in employees’ lives. 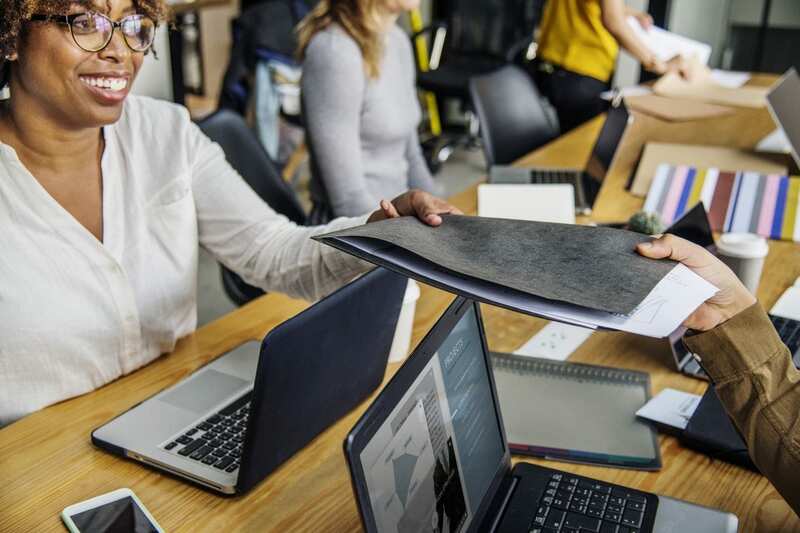 Forgetting Barbara’s five-year work anniversary or Paul’s retirement will destroy morale – and celebrating employee milestones helps employee engagement soar, showing you care about them as individuals. Excited to check out these new features? We look forward to setting you up for success! We firmly believe these features will help you maximize your productivity, collaboration, and morale at every level. 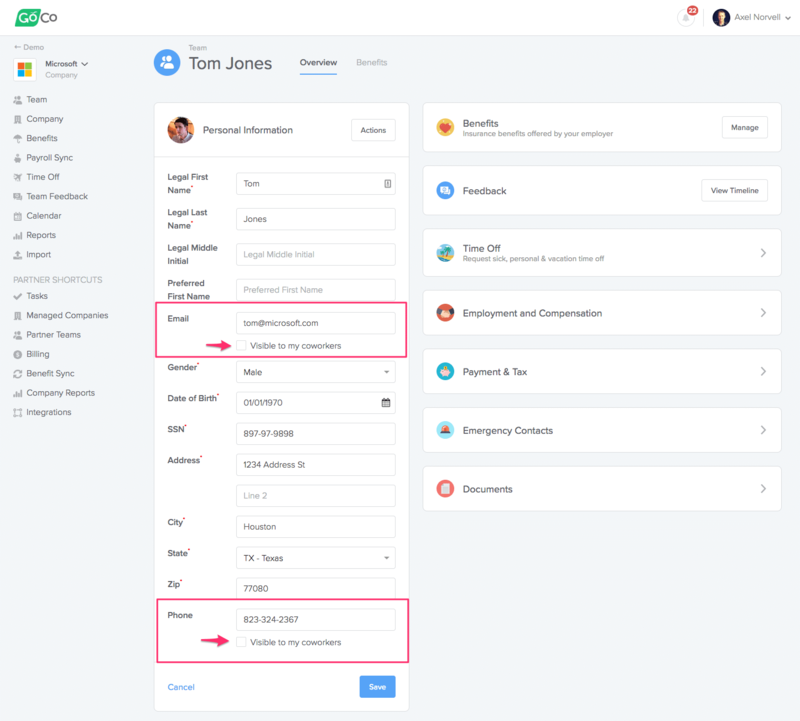 If you have questions about how these features can benefit your organization, we’d love to talk further. Have questions or feedback? We want to hear it! We’d love to hear your thoughts on our new org charts and team directory features. If you have any comments, please share them with us!